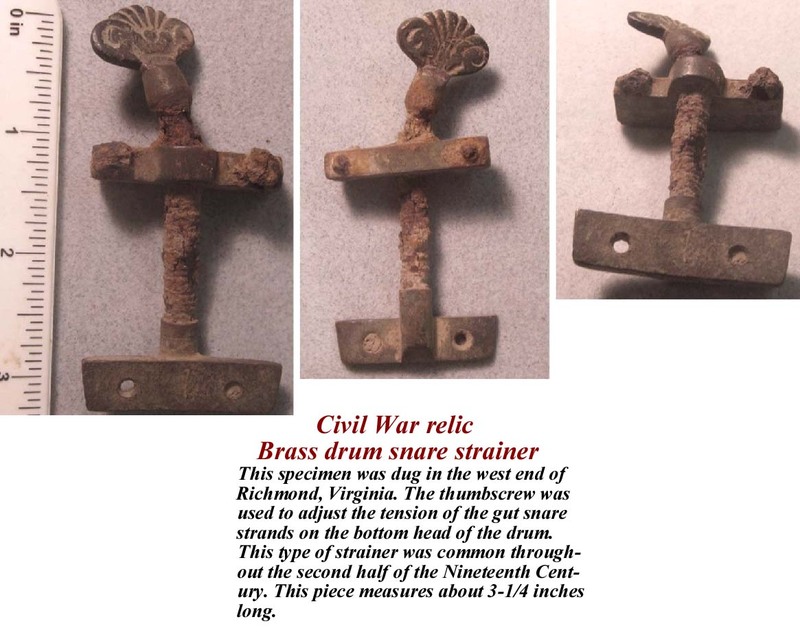 Civil War relic Brass drum snare strainer. This specimen was dug in the west end of Richmond, Virginia. The thumbscrew was used to adjust the tension of the gut snare strands on the bottom head of the drum. This type of strainer was common throughout the second half of the Nineteenth Century. 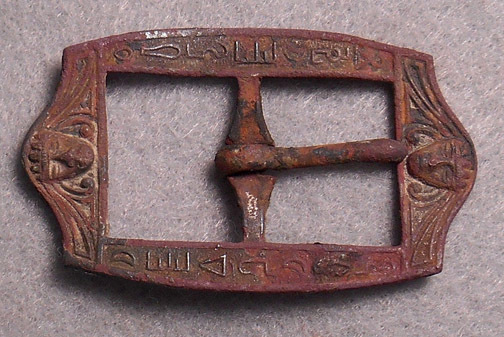 This piece measures about 3-1/4 inches long. 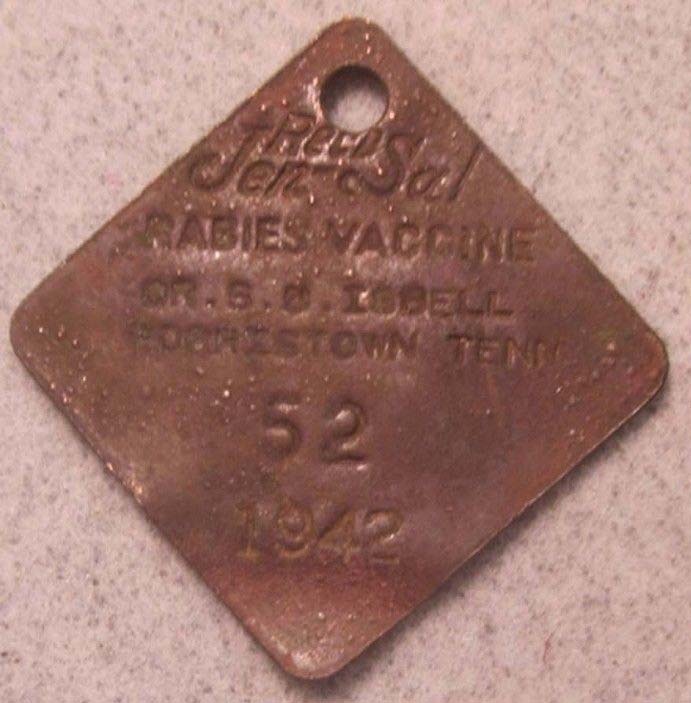 Tennessee 1942 Dog Tag Rabies Vaccination. 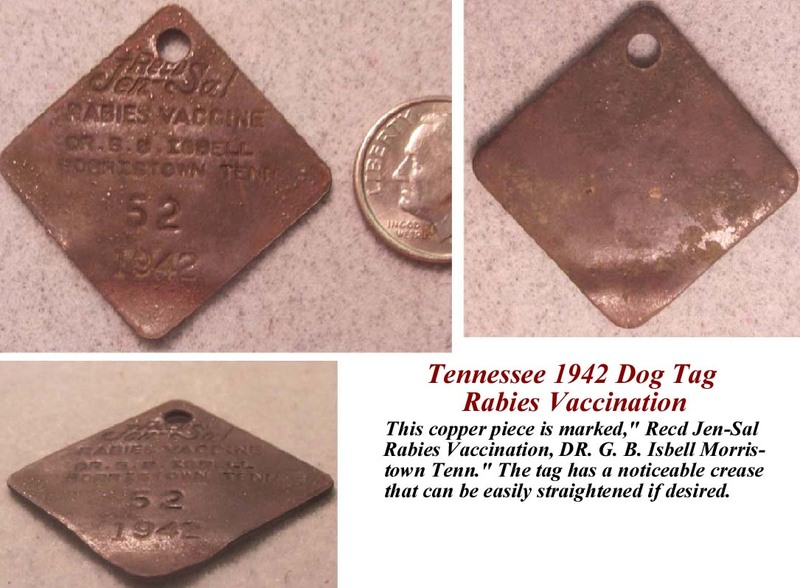 This copper piece is marked," Recd Jen-Sal Rabies Vaccination, DR. G. B. Isbell Morristown Tenn." The tag has a noticeable crease that can be easily straightened if desired. 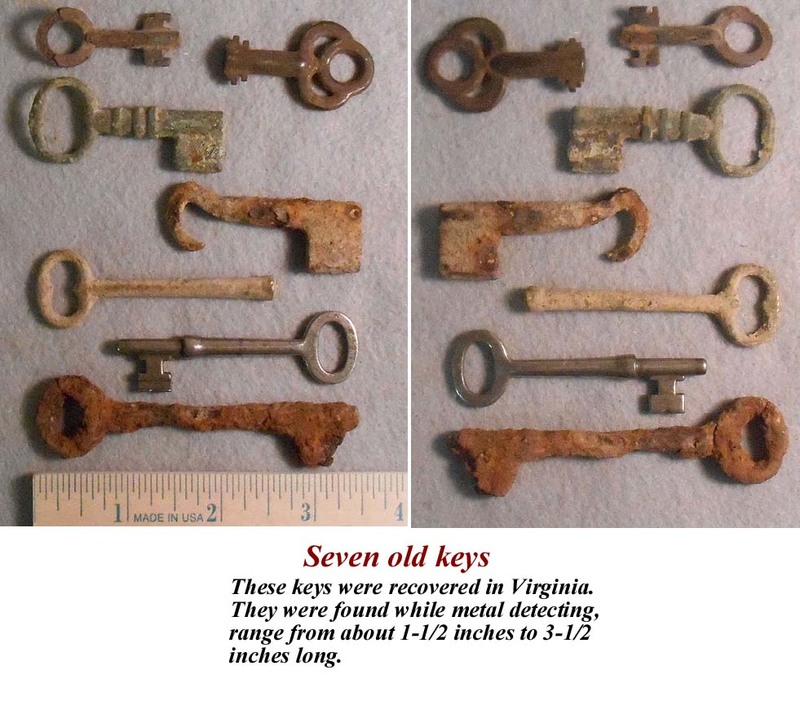 These keys were recovered in Virginia. They were found while metal detecting, range from about 1-1/2 inches to 3-1/2 inches long. 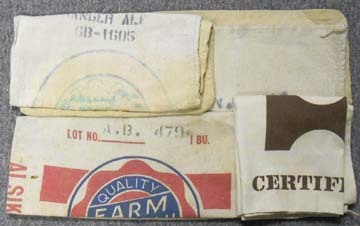 Four 1950s Vintage Cloth Seed Bags from Columbus, Ohio. Two are Farm Bureaus Cooperative Association, one has been soaked and washed, and the fourth has apparently been soaked and washed; it bears what I think was once the State of Ohio seal. All are original, solid with no holes or tears. Their rough measurements are, in order of photo shown, are 28-1/2 x 16 inches, 30 x 17 inches, 27-1/2 x 14-1/2 inches and 27 x 13-1/2 inches. 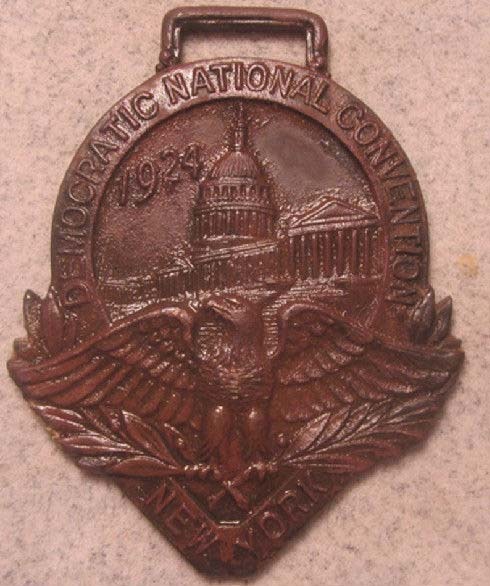 Very nice 1924 Democratic National Convention Watch Fob. 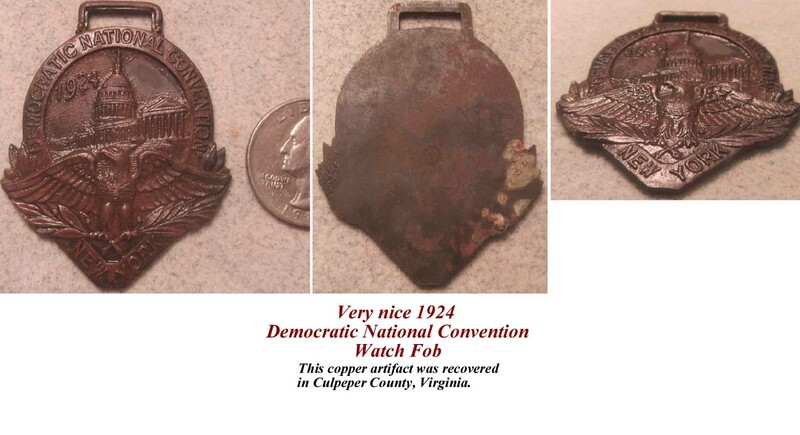 This copper artifact was recovered in Culpeper County, Virginia. Bulldog brand, circa 1940-50's or earlier. Stamped label reads: 100% Cotton Bunting, and it has brass eyelets. The flag has individually machined sections and stars. 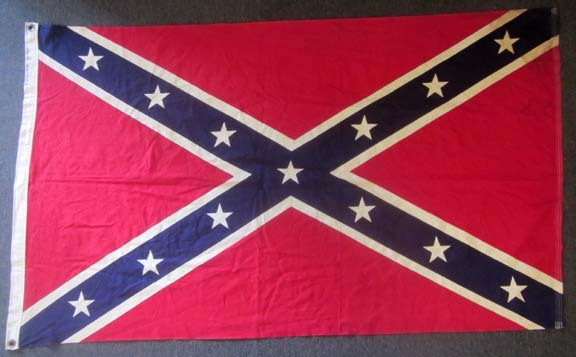 This is a well made flag probably used by veterans for parades. Excellent condition. 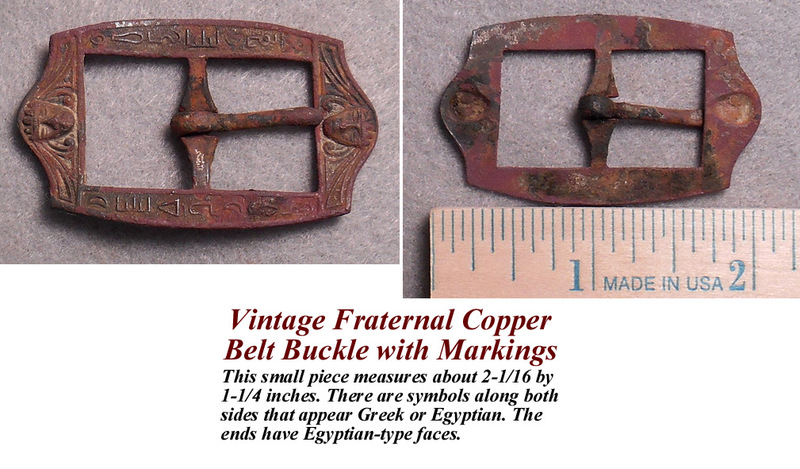 Vintage Fraternal Copper Belt Buckle with Markings. This small piece measures about 2-1/16 by 1-1/4 inches. There are symbols along both sides that appear Greek or Egyptian. The ends have Egyptian type faces. This issue is complete, though worn. The cover is separated from the body of the magazine. There are stories, as well as current events, and a number of illustrations. There are articles on Scenes in the War of 1812, Coal and Cola-Mining, 2 chapters of Thackeray's Dennis Duval, 3 chapters of Dicken's Our Mutual Friend, The Fortunes of War and more. 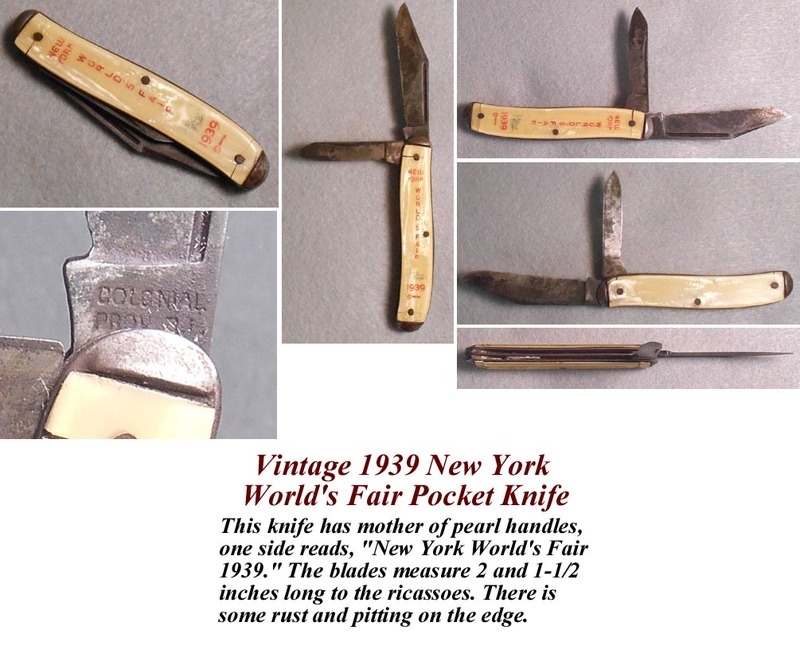 Vintage 1939 New York World's Fair Pocket Knife. This knife has mother of pearl handles, one side reads, "New York World's Fair 1939" The blades measure 2 and 1-1/2 inches long to the ricassoes. There is some rust and pitting on the edge. 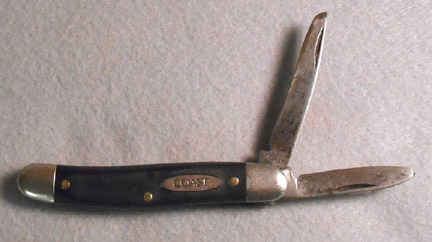 Coast two Blade Pocket Knife. This 3-1/2 inch long knife is solid. It has been block sharpened, but not deeply, and the blades show signs of usage. 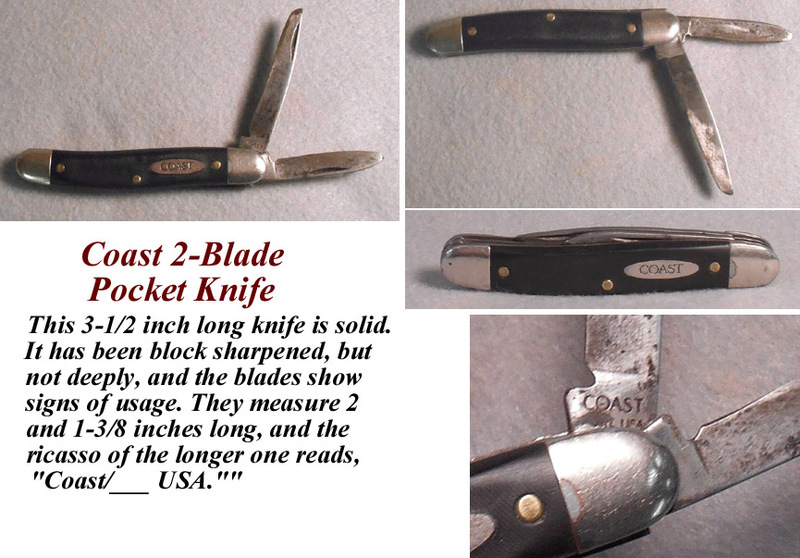 They measure 2 and 1-3/8 inches long, and the ricasso of the longer one reads, "Coast/___ USA." 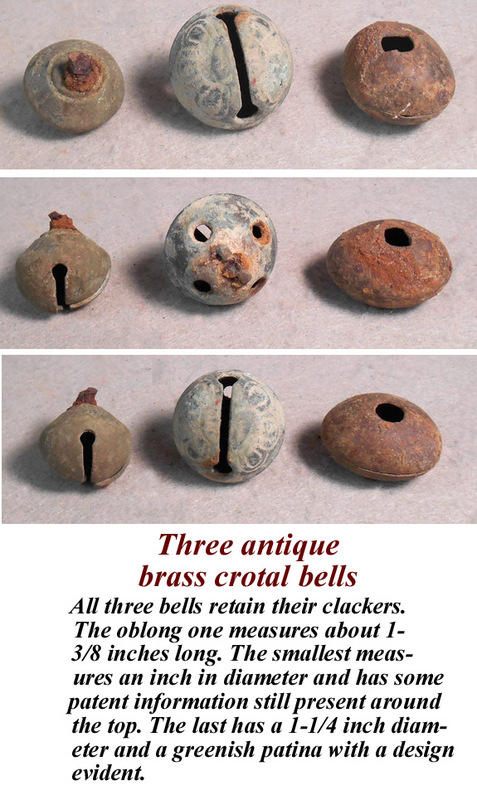 Three antique brass crotal bells. All three bells retain their clackers. The oblong one measures about 1-3/8 inches long. 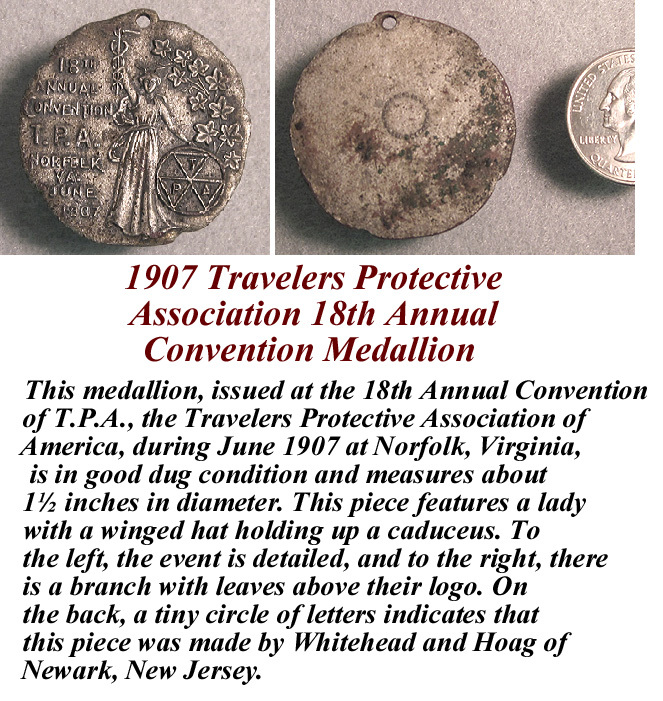 The smallest measures an inch in diameter and has some patent information still present around the top. 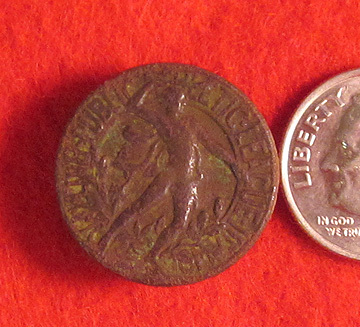 The last has a 1-1/4 inch diameter and a greenish patina with a design evident. 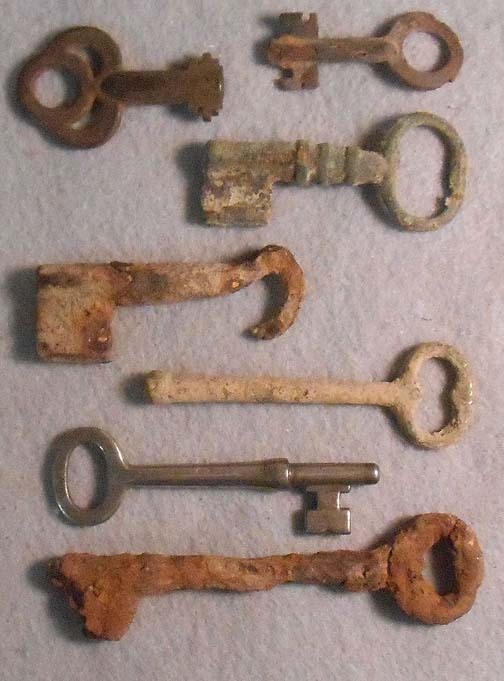 These watch key were excavated in Central Virginia. 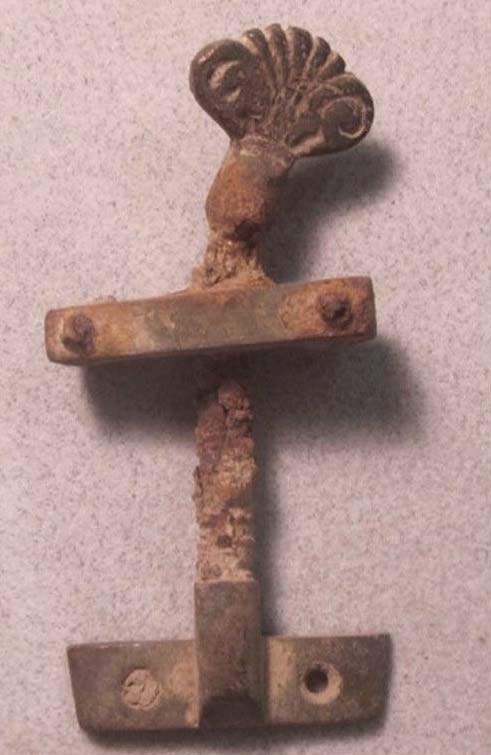 This spur was excavated in Central Virginia. it measures approximately 3-1/4" wide. 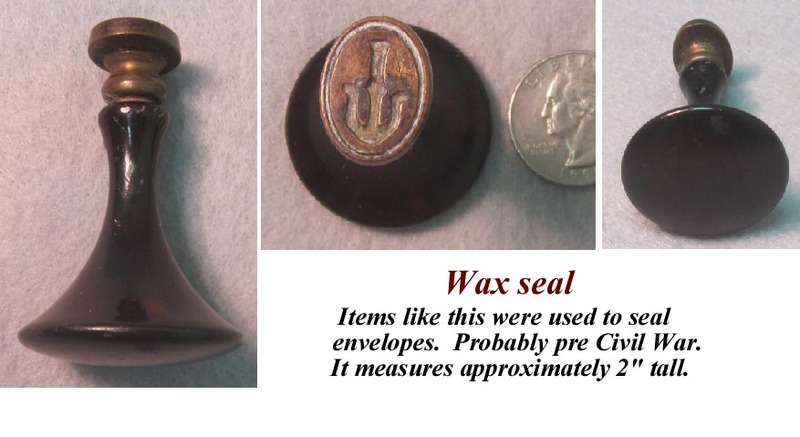 Items like this were used to seal envelopes. 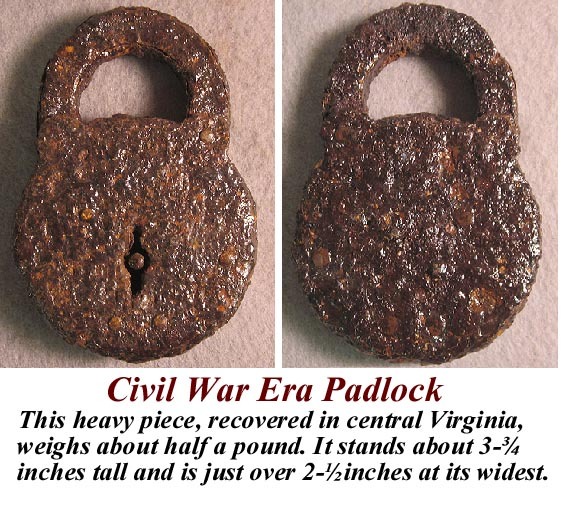 Probably pre Civil War. It measures approximately 2" tall. 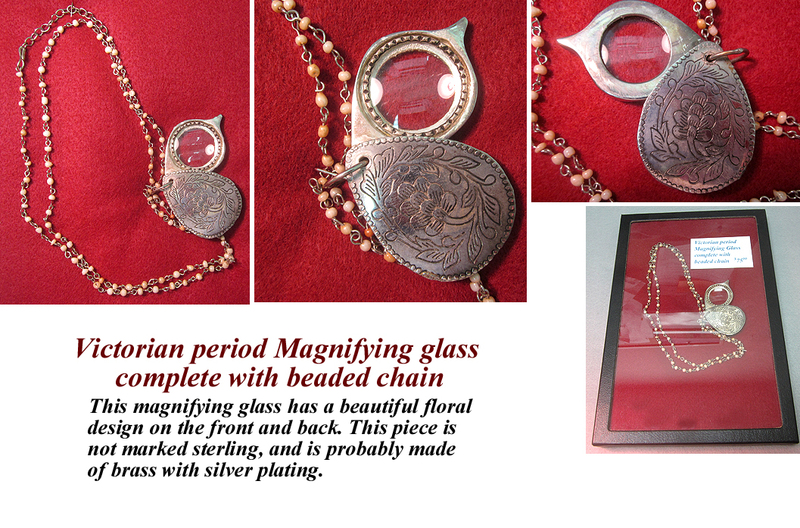 Victorian period Magnifying glass complete with beaded chain. This magnifying glass has a beautiful floral design on the front and back. This piece is not marked sterling, and is probably made of brass with silver plating. Your purchase includes the magnifying glass beautifully displayed in a Sgt. Riker case, as shown in the picture. 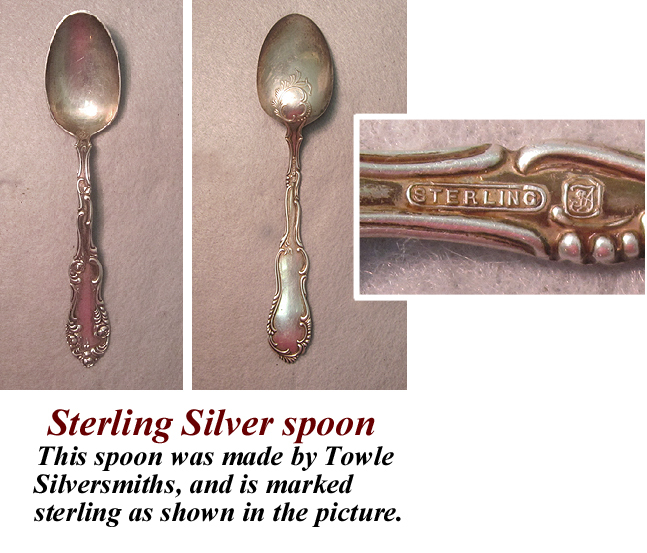 and is marked sterling as shown in the picture. 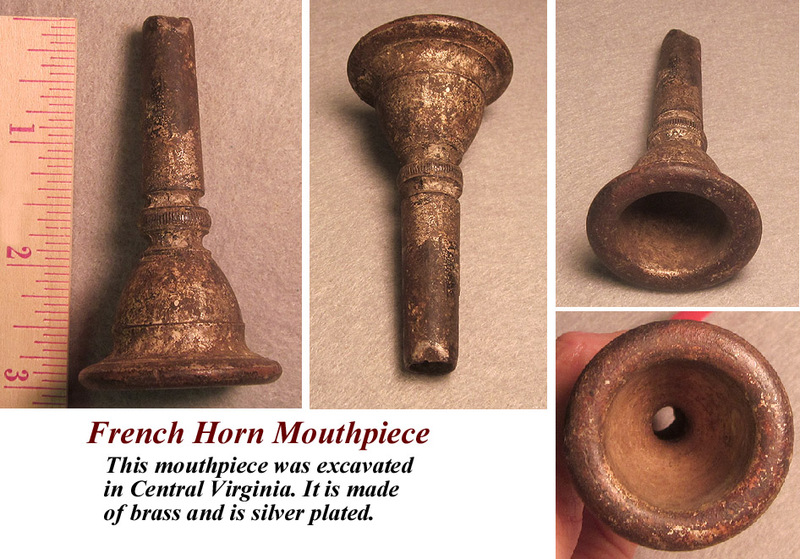 This mouthpiece was excavated in Central Virginia. It is made of brass and is silver plated. 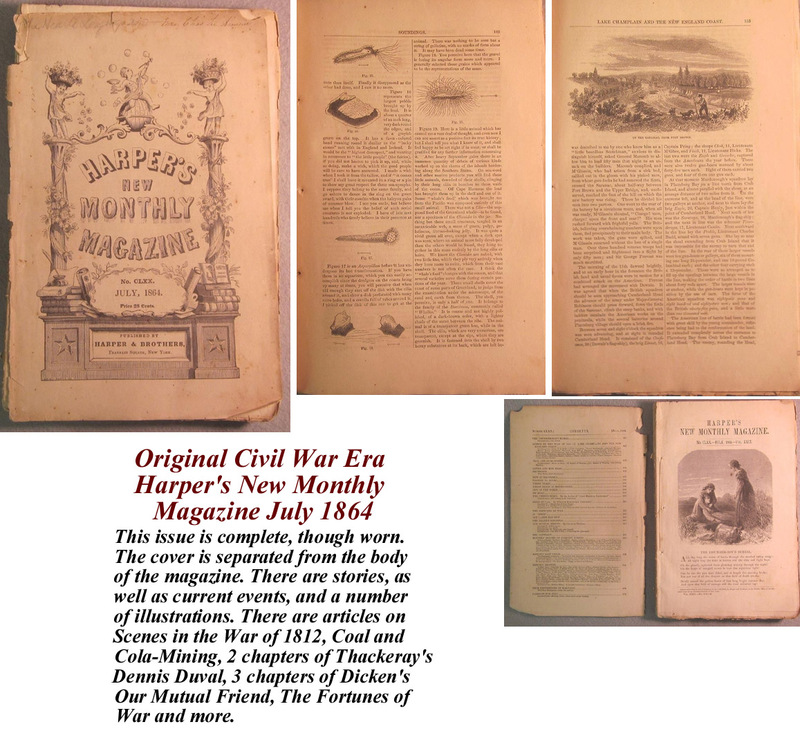 Original Civil War Era Harpers New Monthly Magazine. 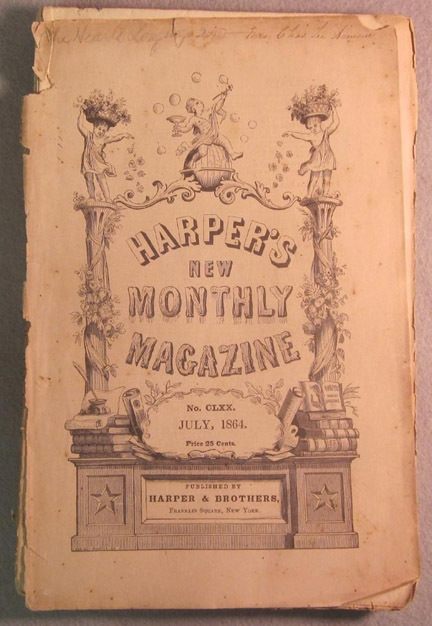 This issue dated April, 1863 contains pages 577 through 720 and is marked Number CLV". 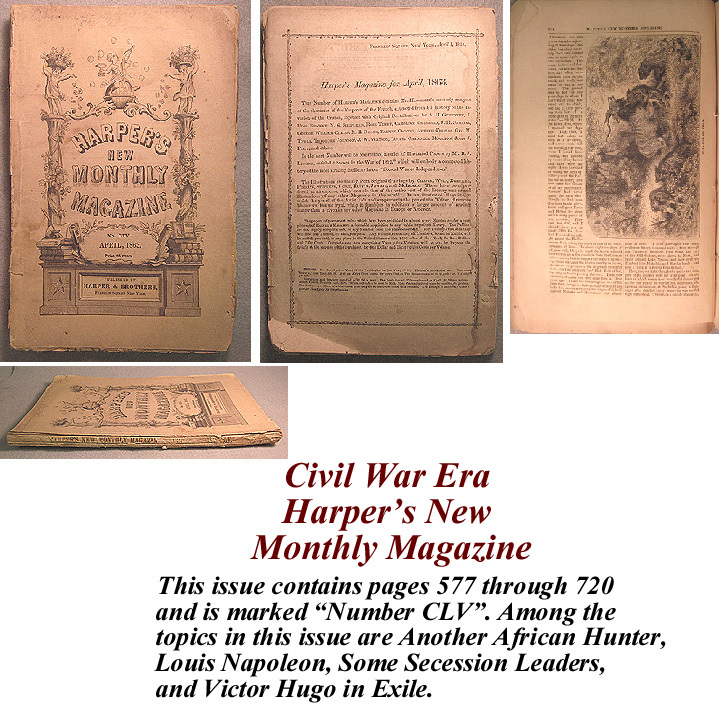 Among the topics in this issue are Another African Hunter, Louis Napoleon, Some Secession Leaders, and Victor Hugo in Exile. There is some staining and the pages are worn at the edges. We also note that there is some slight variation in the height of the pages. There is some separation at the spine, but this magazine is complete. 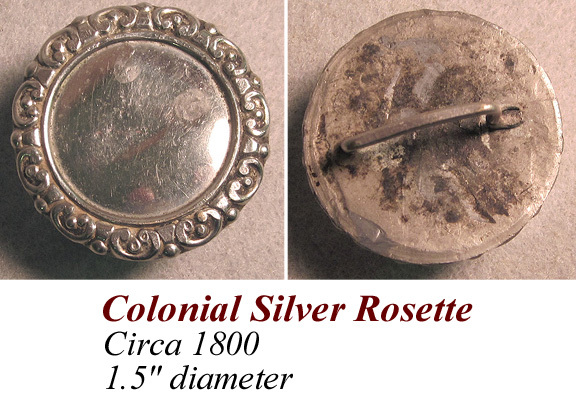 Very pretty Colonial silver rosette. I believe this silver rosette dates to around 1800. 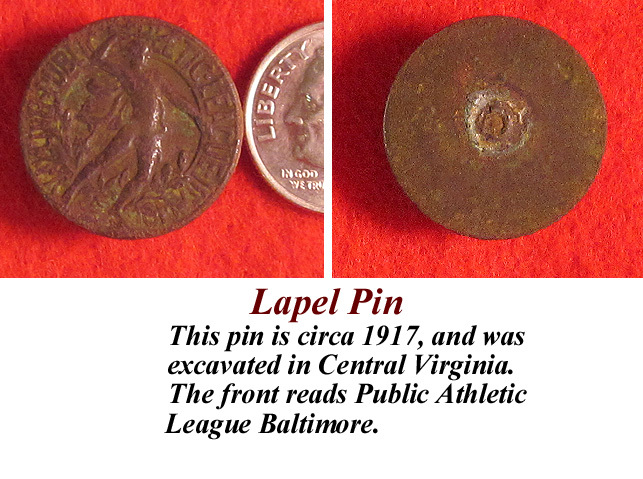 It is 1.5" in diameter and there seems to be some lead fill in the back. Otherwise, it is solid silver. Someone diligently over-polished the front, eliminating some of the patina. The rosette comes nicely displayed in a Sgt. Riker case. 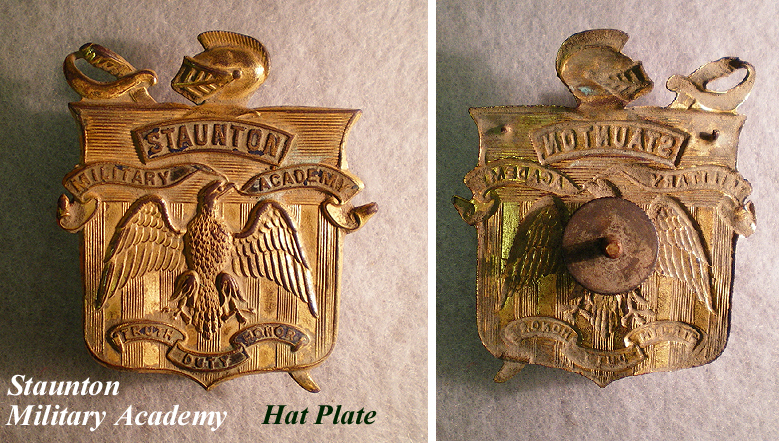 Staunton Military Academy hat plate. Excavated in Petersburg, Virginia, we estimate that this beauty dates to the 1940s/1950s. The original, screwing, retaining nut is still present on the bolt and still screws!